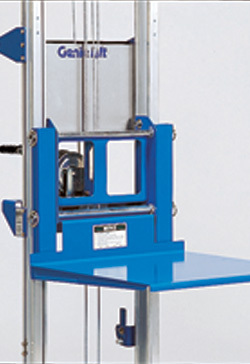 The Genie GL™-8 is probably the most popular size in the Genie Lift range. 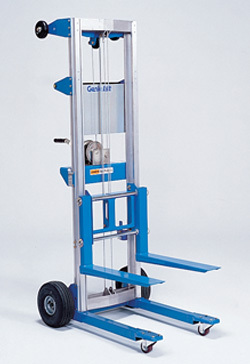 The Genie GL-8 Material Lift can lift 181kg to a height of 2.50m and this can be increased to 3.06m by turning the forks up. 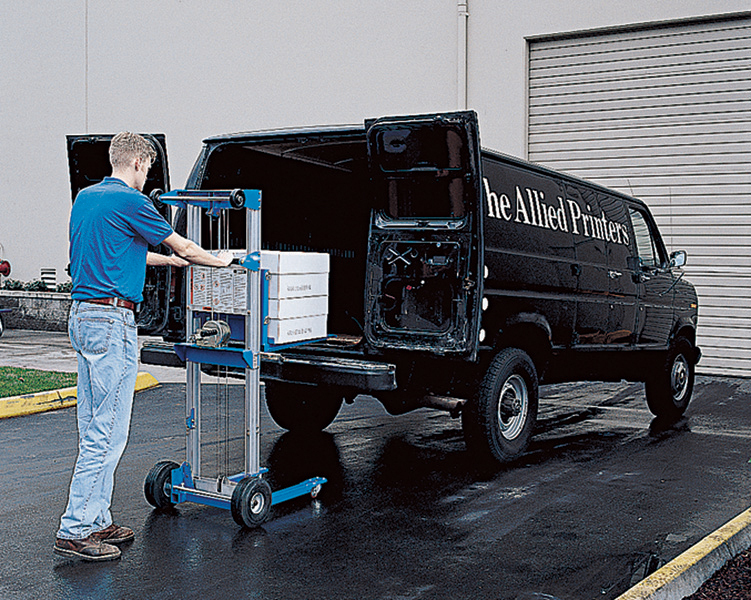 This popular Genie Lift can be easily loaded into a vehicle for convenient transport. Portable, compact and can be set up in seconds, no tools required. 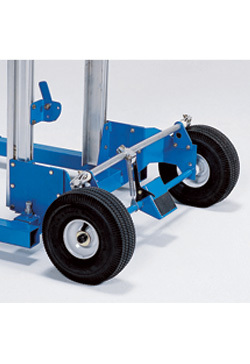 Choices of non marking rear wheels or pneumatic rear wheels for rough terrain and and outdoor use. 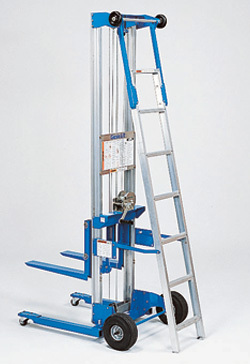 Optional ladder fitted to the rear of the Genie Lift to assist lifting and installation tasks.